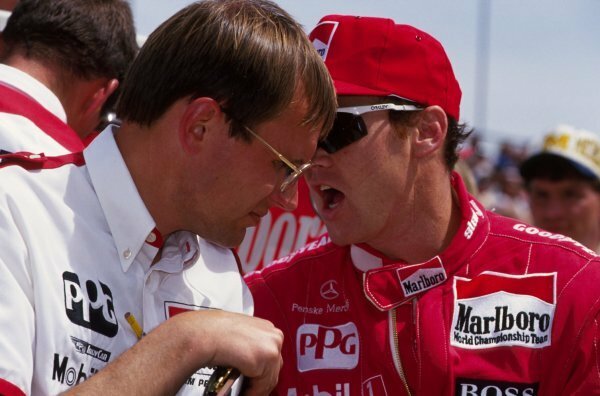 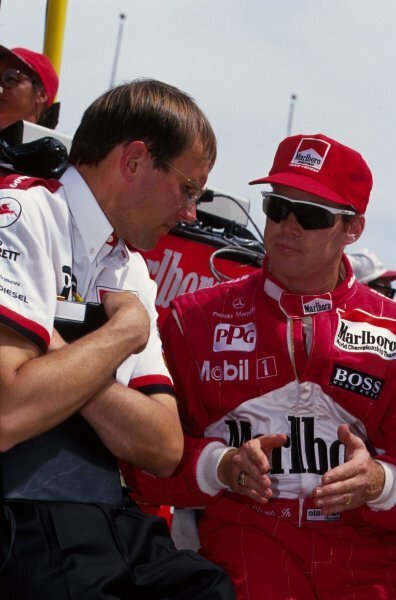 Al Unser Jr (USA) Penske Racing talks with his engineer.<br /> PPG IndyCar World Series, Indianapolis 500, Indianapolis, USA, 9-13 May 1994. 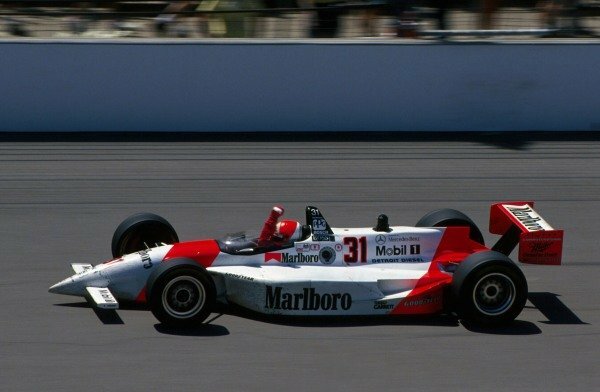 Al Unser Jr (USA) Penske PC23 Mercedes won the race.<br /> PPG IndyCar World Series, Indianapolis 500, Indianapolis, USA, 9-13 May 1994. 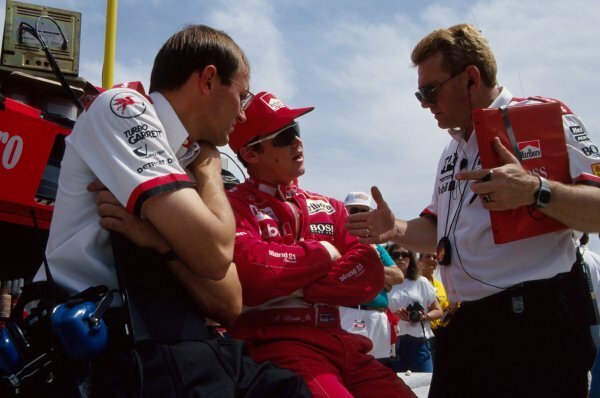 Al Unser Jr (USA) Penske Racing talks with his engineers.<br /> PPG IndyCar World Series, Indianapolis 500, Indianapolis, USA, 9-13 May 1994. 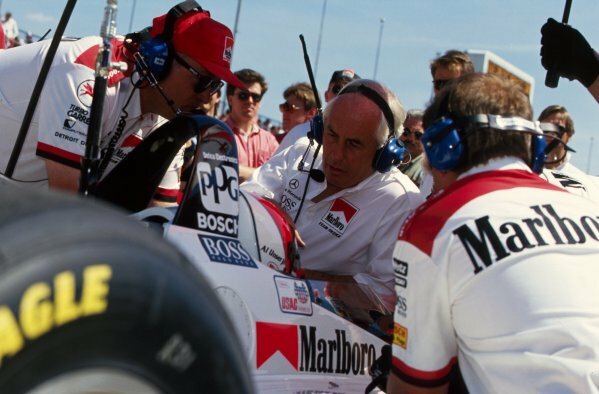 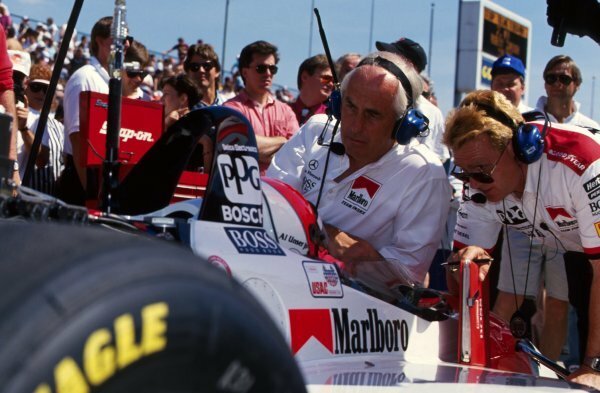 Al Unser Jr (USA) Penske PC23 Mercedes, in-car, talks with team boss Roger Penske (USA) and his engineers.<br /> PPG IndyCar World Series, Indianapolis 500, Indianapolis, USA, 9-13 May 1994. 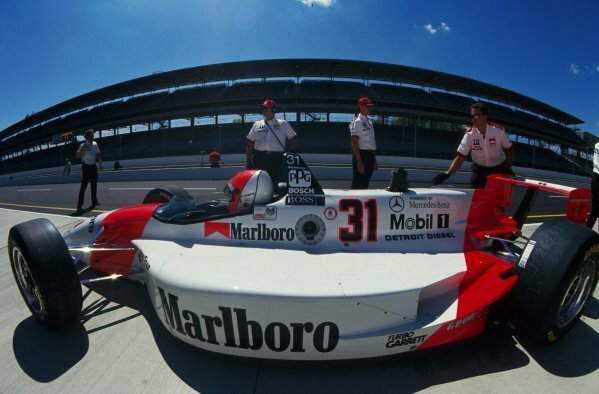 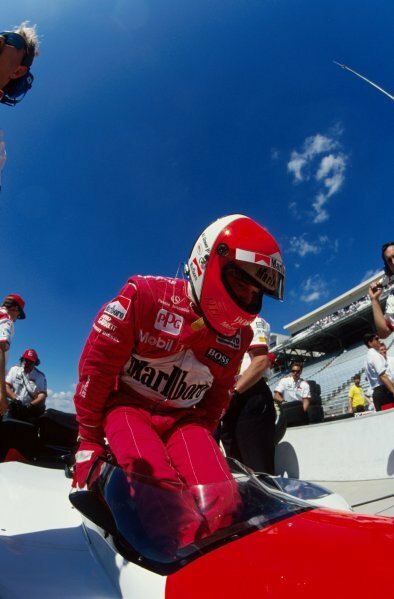 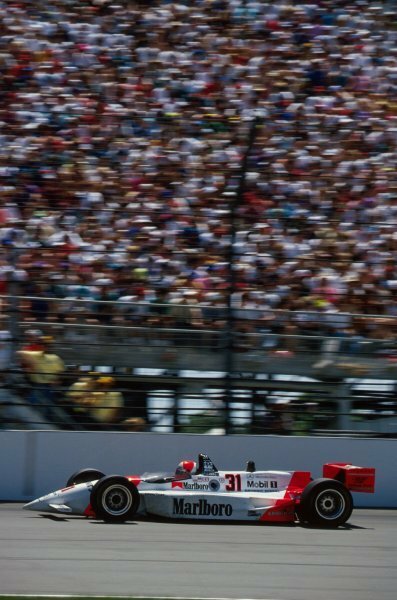 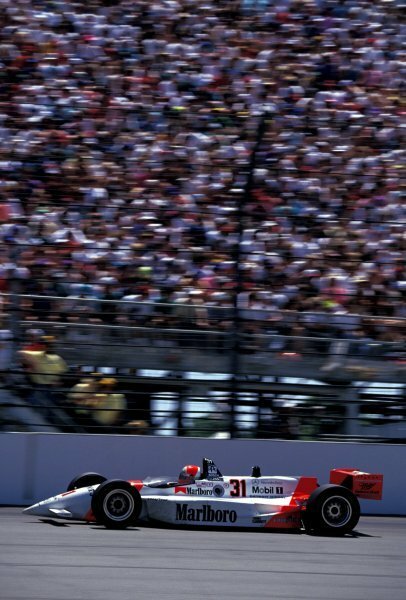 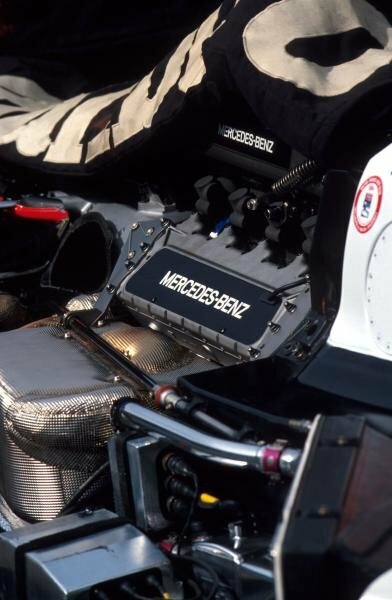 Al Unser Jr (USA) climbs aboard the Penske PC23 Mercedes before winning the 1994 Indianapolis 500.<br /> PPG IndyCar World Series, Indianapolis 500, Indianapolis, USA, 9-13 May 1994.